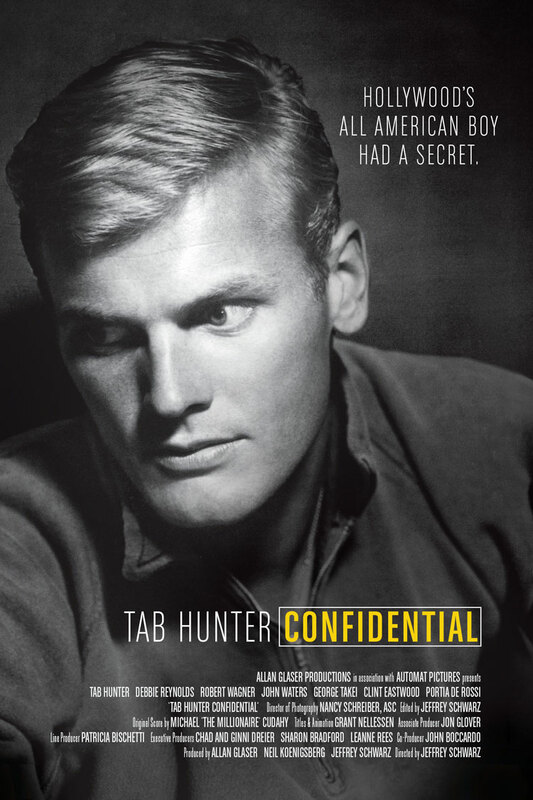 Some younger people may have never heard of Tab Hunter, but if you say the name to any straight woman or gay man who was young in the 1950s, you can often see their eyes glaze as they remember the teen heartthrob who was the biggest dreamboat crush of an entire generation. However, while he was setting millions of teenage hearts aflutter in the likes of Damn Yankees and Battle Cry, he was also hiding the fact that he was gay (with the help of the studio system). Clint Eastwood’s appearance the the Republican Convention caused a lot of comment, mainly due to the fact he kept haranguing an empty chair as if President Obama was sat in it. However while he may not be impressed with the President’s economic performance, he’s socially far more liberal than many other Republicans and does believe in marriage equality. You can see what Eastwood had to say below. The Expendables 2 is set to close the summer movie season with a bang when it’s released later this week. With that film already in the can, the producers are already looking to the future and The Expendables 3. It isn’t known if Sylvester Stallone is writing the screenplay for this third installment, although it seems they definitely have some new characters worked out. If The Expendables 2 director Simon West returns, he will reunite with Nicolas Cage, who starred in his 1997 action-thriller Con Air, and the filmmaker’s upcoming Stolen, debuting in cinemas later this year. While it seem Cage has already agreed, I reckon Lerner will be very lucky to get Eastwood and Ford, who are incredibly picky about they’re projects. Eastwood in particular hardly makes any movie any more as an actor, and it’s tough to imagine he’ll agree to this. While Clint Eastwood said he was retiring from acting following Gran Torino, he’s back with Trouble With The Curve, the directorial debut of his longtime producer Robert Lorenz. Eastwood plays an ailing baseball scout in his twilight years takes his daughter (Amy Adams) along for one last recruiting trip. Justin Timberlake also stars. It’s currently due for UK release on November 30th, 2012. When he made Gran Torino, Clint Eastwood suggested that would be his last on-screen role, but now he’s coming back with Trouble With The Curve, which is longtime producer Robert Lorenz is directing. The first images from the film have now been released via EW, which feature Eastwood alongside Amy Adam and Justine Timberlake. As the cast continues to grow, Trouble With The Curve gets ever more enticing. Now Variety reports that the always excellent John Goodman has joined Clint Eastwood, Amy Adams,Matthew Lillard and Justin Timberlake in the movie. The film will be the directorial debut of longtime Eastwood producer Robert Lorenz. The film follows Eastwood character, a longtime pro baseball scout who is starting to lose his sight. He decides to take his daughter (Amy Adams) along on a scouting trip to Atlanta to eye a hot new recruit. John Goodman will play Pete Klein, another scout and longtime friend of Clint Eastwood’s character, who still believes in his ability to spot new talent. It isn’t clear when production will start, but it’ll have to be fairly soon as a US release date of September 28th has already been set. It’s getting to the point where you could almost forget Justin Timberlake is a pop star, as he spends so much of his time trying to be a movie star. The likes of The Social Network have helped give him some acting cred, but starring opposite Clint Eastwood should get him a lot more. Deadline reports that he’s just signed on to Trouble With The Curve, which will see Eastwood coming out of acting retirement (Gran Torino was supposed to be his last trip in front of a camera). The film follows an aging baseball scout (Eastwood) who’s slowly losing his vision, but goes on a road trip with his adult daughter (Amy Adams) to look for new players in Atlanta. Timberlake is set to play a former pitcher-turned-scout, who competes against Eastwood for a new signing. However, just to throw an extra spanner in the works, he also falls for Adams. Robert Lorenz, whose produced many of Clint’s films, will make his directing debut with the movie. An autumn release is being eyed for the movie. If all goes well for director Robert Lorenz, this time next year we’ll be wondering if Trouble With The Curve will win any Oscars. We’re a long way from that though, as they’ve got to make the movie first. Clint Eastwood has agreed to come out of acting retirement for the movie, and Amy Adams is attached to star too. Now TheWrap reports a couple more actors are close to signing. Actor Matthew Lillard, who recently appeared in The Descendants, is in negotiations, as is newcomer Joe Massingill. The film follows Clint Eastwood’s character, a professional baseball scout who is losing his eyesight. He brings his daughter along on a scouting trip to Atlanta, so he can evaluate a young prospect. Matthew Lillard will play another scout in the drama. Robert Lorenz, who’s been Eastwood’s assistant director and fellow producer for years, is directing Trouble with the Curve from a screenplay by Randy Brown. It’ll be his directorial debut. A few weeks ago it was revealed that while Clint Eastwood had said Gran Torino would probably be his final trip in front of the camera, he’s planning one more on-screen role with Trouble With The Curve. At the time it seemed Sandra Bullock was likely to star alongside him. However a deal couldn’t be worked out (largely due to scheduling) and so Variety reports that the role has been offered to Amy Adams. There are still some things to work out with Adams, who also has a few scheduling problems (mainly with various Man Of Steel jobs she has to do), but at the moment its appears she’s doing her best to ensure everything gets sorted. After all, who wouldn’t want to star alongside Clint, and this may be the very last time it’s possible to do that? The film follows an aging baseball scout who’s slowly losing his vision, but goes on a road trip with his adult daughter to look for new players in Atlanta.